An aerial view of the Las Vegas Strip emerged just past the control sticks and a dashboard of buttons. 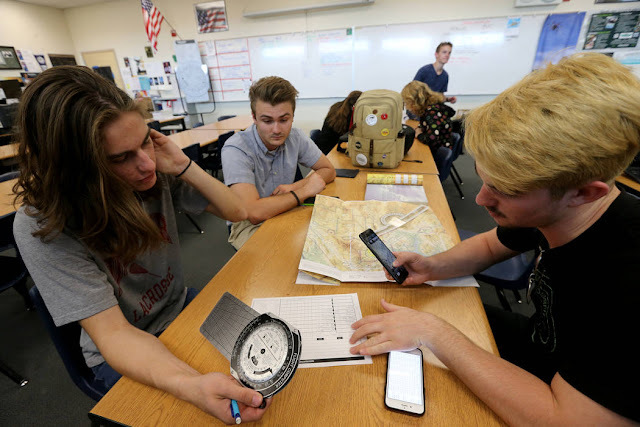 Peter Forman, a former pilot and volunteer at the Henderson-based Future and Active Pilot Advisors’ Future Pilot Program, pointed out details from the scene below to his student as they glided over the city — virtually. 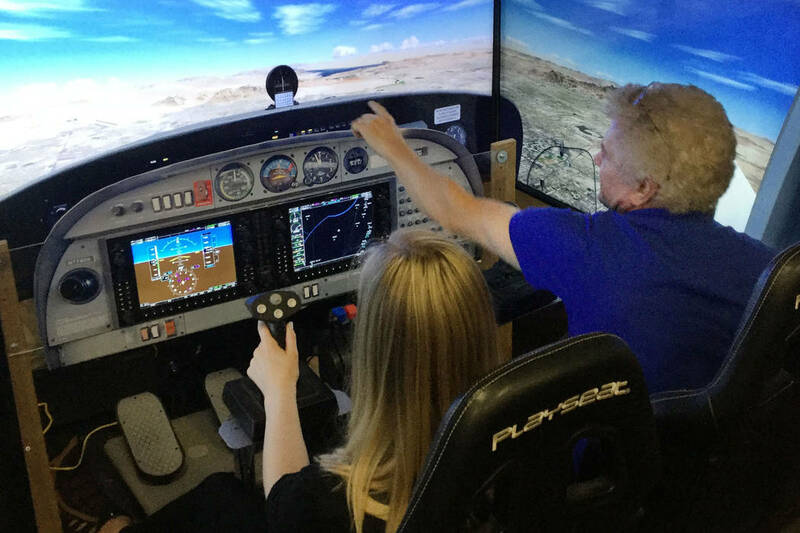 This flight simulation was one of the tools used at a May 2 Las Vegas event to educate students of all ages about an aviation career. According to a 2017 market outlook from Boeing, North American airlines will need to hire 117,000 new pilots by 2036 to keep up with an expanding fleet of aircraft. Smaller, regional airlines have been hit the hardest so far, she said. But in Nevada, the number of pilots is on the upswing. 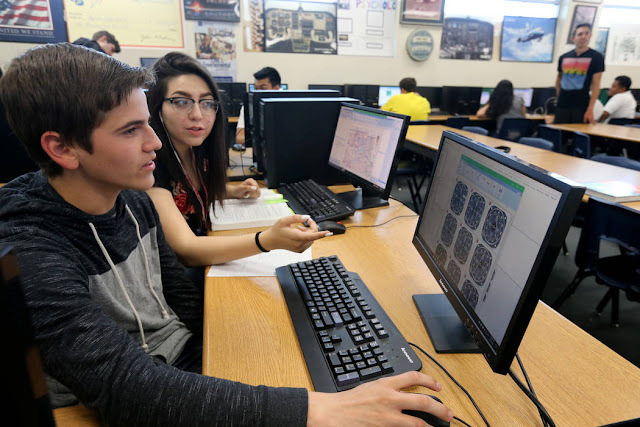 With pilot employment outpacing growth in the tourism, gaming and entertainment industry, Nevada is moving in the right direction, said Bob Potts, research director at the Governor’s Office of Economic Development. Nevada added 39 airline pilots, copilots, and flight engineers over the last year, an increase of 3 percent, according to data from the Nevada Department of Employment, Training and Rehabilitation. Commercial pilot jobs saw a 6 percent increase, from 601 to 638. Meanwhile, the tourism, gaming and entertainment industry grew by 1 percent last year, and the visitor volume growth numbers from the Nevada Commission on Tourism are similar, Potts said. In all, the two pilot categories had a combined growth rate of 3.7 percent, outpacing the 2.8 percent growth rate of passenger counts, according to Potts. Still, a shortage is at the forefront of many local airline’s minds. Grey said the shortage is likely to get worse with a large number of pilots retiring in the near future. By 2036, North American airlines will need to hire 118,000 technicians and 154,000 cabin crew members to keep up with demand, according to Boeing. And it’s one that’s affecting a variety of businesses. At a recent FAPA pilot job fair, Mireles said he saw four charter companies actively recruiting pilots. Tuition rates at the Pan Am academy hover around $60,000, and that number can be even higher for students who go through flight training at a four-year university. But Mireles said the return-on-investment is worth it. According to the Bureau of Labor Statistics, airline and commercial pilots had an average annual salary of $111,930 in 2017. And airlines are throwing in more and more retirement packages and bonuses to sweeten the deal, Mireles said. “I started less than 10 years ago, and there were no bonuses,” he said. Now, some regional airlines offer signing bonuses of more than $20,000 and retention bonuses near $6,000, according to Rob Canning, sales manager at Pan Am International Flight Academy. Smith said financial incentives and events like the future pilots program are necessary steps to help the industry succeed. “The industry needs to start spending money to develop the pipeline,” he said. Yep, 50 to 60K as an FO. I need twice that just to pay the bills. Sorry SkyWest, PSA, Republic and all of the rest. The airline job isn't all that great. Lots of people that like to do nothing but complain. Those are not the individuals I want to be around. I think I will stay at Google. Free food. Gotta love it!